Jersey Post's interpretation of PostEurop's 2011 theme Year of Forestry focuses on the foliages of trees which can be found in Jersey's woodland areas. 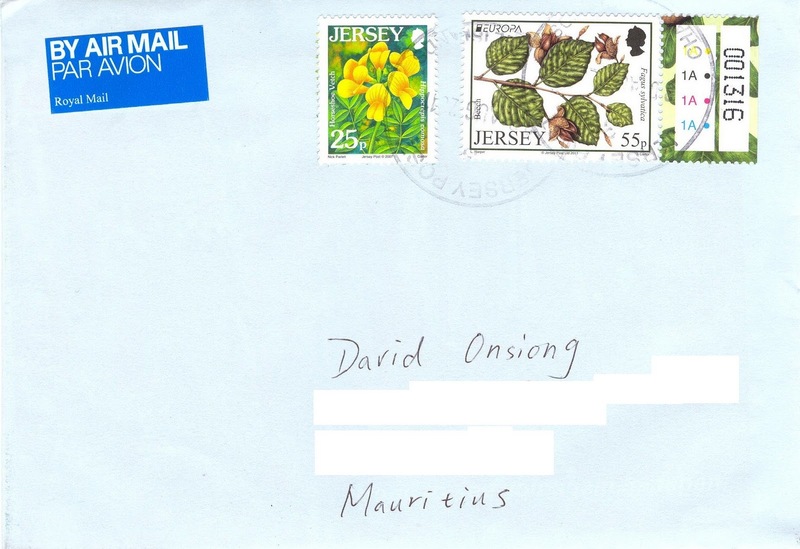 The 55p stamp on the envelope above illustrates the Beech (Fagus sylvatica). The 3 other stamps of this set released on February 8, 2011 depict the Silver Birch, the English Oak and the Lime respectively. The Horseshoe Vetch (Hippocrepis comosa) is depicted on the 25p stamp, issued on 22 June 2007 along with 7 other ones. This flowering plant is the sole food of the butterfly species Polyommatus coridon, or the Chalkhill Blue.